Candid candles - symbols and expressions that will blow you away. Say it sweet or say it sassy but always get a smile and allow your guest of honor to participate in one of the most time- honored, prominent rituals of a birthday party, the blowing out of the cake candles. 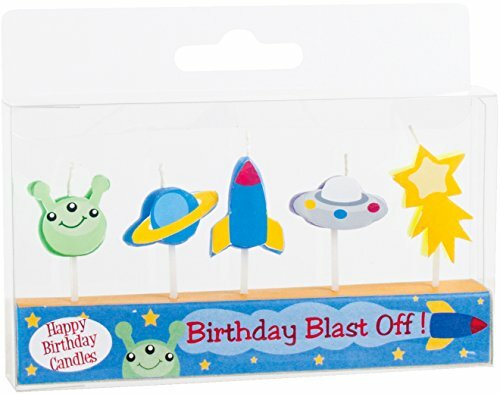 So much better than just traditional little straight sticks on fire, these shaped candles express so many different sentiments and come in so many different symbols and themes, every birthday boy or girl will enjoy them, no matter their age. Each candid candle measures approximately 2" tall and has a sturdy plastic toothpick-style bottom to insert into the cake or cupcakes. Party Partners Design makes your party more than a party, it becomes the event of the year. Let us do your party a favor. A vintage-inspired collection of time-tested classic party supplies. Party Partners' festive decorations have been regularly featured in magazines such as Good Housekeeping, Cookie, Parents, Country Living, Martha Stewart Kids, Martha Stewart Weddings and Better Homes and Gardens. Kooky old-fashioned party supplies and party favors, let the party begin. If you have any questions about this product by Party Partners, contact us by completing and submitting the form below. If you are looking for a specif part number, please include it with your message.